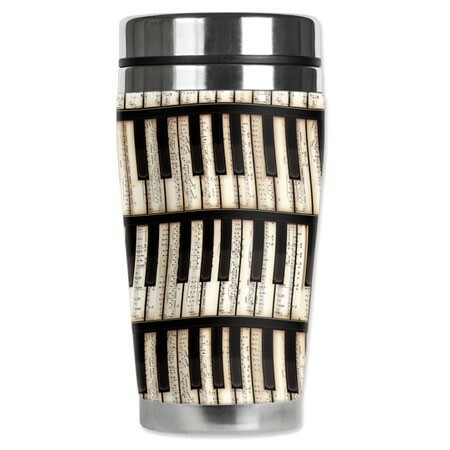 Piano Keys Beverage Mug – This stainless steel mug is a perfect gift for a pianist on the move! The neoprene wetsuit material helps keep your hot beverages hot, and your cool beverages ice cold, as well as eliminating condensation! Removable lid with seal. Stainless Steel and neoprene. Approx. 16 oz. Check out more Unique Piano Gifts!